Fourteen-time Olympic gold medalist Michael Phelps will be competing in the Charlotte UltraSwim, which kicks off tomorrow and runs through Sunday. 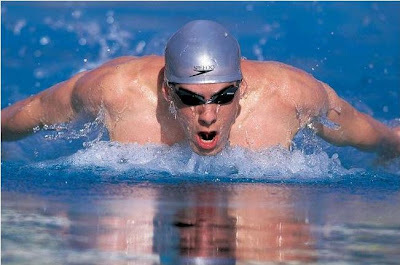 Phelps is scheduled to swim in five meets beginning Friday. He'll be joined by more than a dozen other past Olympians among hundreds of swimmers as SwimMAC Carolina hosts this annual event at the Mecklenburg County Aquatic Center in Uptown. Large crowds are expected to come see Phelps, who is swimming in his first official competition since being suspended for three months in February for bong-gate and his first since he won a record-breaking eight gold medals at last summer's Olympic Games in Beijing. Tickets are no longer being sold online, but you might be able to buy a limited number at the door. You can read all about the Charlotte UltraSwim and Phelps's grand return to the sport in an article I wrote for this week's issue of Creative Loafing, "Blown Away."